1. Reigner, B. G.; Williams, P. E. O.; Patel, J. H.; Steimer, J. L.; Peck, C.; van Brummelen, P Clin. Pharmacokinet. 1997, 33, 142-152. 2. Dickins, M.; Van de Waterbeemd, H. Drug Disc. Today: Biosilico 2004, 2, 38-45. 3. Leahy, D. E. Drug Disc. Today: Biosilico 2004, 2, 78-84. 4. Willmann, S.; Lippert, J.; Sevestre, M.; Solodenko, J.; Fois, F; Schmitt, W Drug Disc. Today: Biosilico 2003, 1, 121-124. 5. Theil, F P.; Guentert, T W; Haddad, S.; Poulin, P Toxicol. Lett. 2003, 138, 29-49. 6. Nestorov, I. Clin. Pharmacokinet. 2003, 42, 883-908. 7. Poulin, P.; Theil, FPJ Pharm. Sci. 2002, 91, 1358-1370. 8. Poulin, P; Theil, F P J. Pharm. Sci. 2000, 89, 16-35. 9. Poulin, P; Schoenlein, K.; Theil, F J. Pharm. Sci. 2001, 90, 436-447. 10. Arundel, P. A. The third IFAC symposium, Modeling and control in biomedical systems, University of Warwick, March 23-26, 1997. 11. Poulin, P.; Theil, F P. J. Pharm. Sci. 2000, 89, 16-35. 12. Poulin, P; Theil, F P J. Pharm. Sci. 2002, 91, 129-156. 13. Lave, T; Luttringer, O.; Zuegge, J.; Schneider, G.; Coassolo, P; Theil, F P Ernst Schering Res. Found. Workshop 2002, 37, 81-104. 14. Lin, J. H.; Sugiyama, Y; Awazu, S.; Hanano, M. J. Pharmacokinet. Biopharm. 1982, 10, 637-647. 15. Schuhmann, G.; Fichtl, B. Biopharm. Drug Dispos. 1987, 8, 73-86. 16. Clausen, J.; Bickel, M. H. J. Pharm. Sci. 1993, 82, 345-349. 17. Bickel, M. H.; Raaflaub, R. M.; Hellmuller, M.; Stauffer, E. J. J. Pharm. Sci. 1987, 76, 68-74. 18. Ballard, P.; Arundel, P. A.; Leahy, D. E.; Rowland, M. Pharm. Res. 2003, 20, 857-863. 19. Ballard, P; Leahy, D. E.; Rowland, M. Pharm. Res. 2000, 17, 660-663. 20. Reinoso, R. F; Telfer, B. A.; Rowland, M. Eur. J. Pharm. Sci. 1998, 6, 145-152. 21. Ritschel, W A.; Hammer, H. G. Int. J. Clin. Pharmacol. Toxicol. 1980, 18, 298-316. 22. Lombardo, F; Obach, R. S.; Shalaeva, M. Y; Gao, F J. Med. Chem. 2002, 45, 2867-2876. 23. Wajima, T; Fukumura, K.; Yano, Y; Oguma, T J. Pharm. Pharmacol. 2003, 55, 939-949. 24. Yokogawa, K.; Nakashima, E.; Ishizaki, J.; Maeda, H.; Nagano, T.; Ichimura, F Pharm. Res. 1990, 7, 691-696. 25. Yata, N.; Toyoda, T; Murakami, T; Nishiura, A.; Higashi, Y Pharm. Res. 1990, 7, 1019-1025. 26. Kaliszan, R. M. M. Int. J. Pharm. 1996, 145, 9-16. 27. Abraham, M. H.; Chadha, H. S.; Mitchell, R. C. J. Pharm. Sci. 1994, 83, 1257-1268. 28. Abraham, M. H.; Chadha, H. S.; Whiting, G. S.; Mitchell, R. C. J. Pharm. Sci. 1994, 83, 1085-1100. 29. Lombardo, F; Blake, J. F; Curatolo, W J. J. Med. Chem. 1996, 39, 4750-4755. 30. Luco, J. M. J. Chem. Inf. Comput. Sci. 1999, 39, 396-404. 31. Nestorov, I.; Aarons, L.; Rowland, M. J. Pharmacokinet. Biopharm. 1998, 26, 521-545. 32. Bjorkman, S. J. Pharm. Pharmacol. 2002, 54, 1237-1245. 33. Sawada, Y; Hanano, M.; Sugiyama, Y; Harashima, H.; Iga, T. J. Pharm. Sci. 1984, 12, 5875-5896. 34. Zuegge, J.; Schneider, G.; Coassolo, P; Lave, T Clin. Pharmacokinet. 2001, 40, 553-563. 35. Lavé, T; Coassolo, P.; Reigner, B. Clin. Pharmacokinet. 1999, 36, 211-231. 36. Lavé, T; Dupin, S.; Schmitt, C.; Chou, R. C.; Jaeck, D.; Coassolo, P. J. Pharm. Sci. 1997, 86, 584-590. 37. Houston, J. B. Toxicol. In Vitro 1994, 8, 507-512. 38. Houston, J. B.; Carlile, D. J. Drug Metab. Rev. 1997, 29, 891-922. 39. Mahmood, I.; Balian, J. D. Xenobiotica 1996, 26, 887-895. 40. Hoener, B. A. Biopharm. Drug Dispos. 1994, 15, 295-304. 41. Houston, J. B. Biochem. Pharmacol 1994, 47, 1469-1479. 42. Houston, J. B.; Kenworthy, K. E. Drug Metab Dispos. 2000, 28, 246-254. 43. Lavé, T; Dupin, S.; Schmitt, C.; Valles, B.; Ubeaud, G.; Chou, R. C.; Jaeck, D.; Coassolo, P Pharm. Res. 1997, 14, 152-155. 44. Carlile, D. J.; Zomorodi, K.; Houston, J. B. Drug Metab. Dispos. 1997, 25, 903-911. 45. Naritomi, Y; Terashita, S.; Kimura, S.; Suzuki, A.; Kagayama, A.; Sugiyama, Y Drug Metab. Dispos. 2001, 29, 1316-1324. 46. 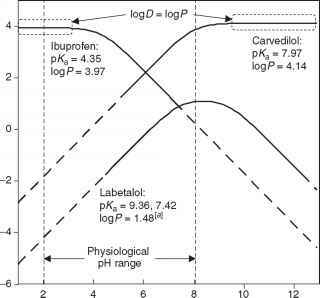 Wilkinson, G. R. Pharmacol. Rev. 1987, 39, 1-47. 47. Iwatsubo, T; Hirota, N.; Ooie, T; Suzuki, H.; Shimada, N.; Chiba, K.; Ishizaki, T.; Green, C. E.; Tyson, C. A.; Sugiyama, Y Pharmacol. Ther. 1997, 73, 147-171. 48. Efthymiopoulos, C.; Battaglia, R.; Strolin-Benedetti, M. J. Antimicrob. Chemother. 1991, 27, 517-526. 49. Richter, W F; Heizmann, P.; Meyer, J.; Starke, V; Lave, T J. Pharm. Sci. 1998, 87, 496-500. 50. Sawada, Y; Hanano, M.; Sugiyama, Y; Iga, T. J. Pharmacokinet. Biopharm. 1984, 12, 241-261. 51. Lin, J. H. Drug Metab. Dispos. 1998, 26, 1202-1212. 52. Liu, X.; Chism, J. P; LeCluyse, E. L.; Brouwer, K. R.; Brouwer, K. L. Drug Metab. Dispos. 1999, 27, 637-644. 53. LeCluyse, E. L.; Audus, K. L.; Hochman, J. H. Am. J. Physiol. 1994, 266, C1764-C1774. 54. Pahlman, I.; Andersson, S.; Gunnarsson, K.; Odell, M. L.; Wilen, M. Pharmacol. Toxicol. 1999, 85, 123-129. 55. Lavé, T; Portmann, R.; Schenker, G.; Gianni, A.; Guenzi, A.; Girometta, M. A.; Schmitt, M. J. Pharm. Pharmacol. 1999, 51, 85-91. 56. Lin, J. H. Drug Metab. Dispos. 1995, 23, 1008-1021. 57. Ishizuka, H.; Konno, K.; Shiina, T; Naganuma, H.; Nishimura, K.; Ito, K.; Suzuki, H.; Sugiyama, Y J. Pharmacol. Exp. Ther. 1999, 290, 1324-1330. 58. Grass, G. M.; Sinko, P. J. Adv. Drug Deliv. Rev. 2002, 54, 433-451. 59. Agoram, B. W W; Bolger, M. B. Adv. Drug Deliv. Rev. 2001, 50, S41-S67. 60. Norris, D. A.; Leesman, G. D.; Sinko, P. J.; Grass, G. M. J. Control. Release 2000, 65, 55-62. 61. Parrott, N. J.; Lavé, T. Eur. J. Pharm. Sci. 2002, 17, 51-61. 62. Rostami-Hodjegan, A.; Tucker, G. Drug Disc. Today: Biosilico 2004, 1, 441-448. 63. Ito, K.; Iwatsubo, T.; Kanamitsu, S.; Nakajima, Y; Sugiyama, Y Annu. Rev. Pharmacol. Toxicol. 1998, 38, 461-499. 64. Tucker, G. T.; Houston, J. B.; Huang, S. M. Pharm. Res. 2001, 18, 1071-1080. 65. Sawada, Y; Harashima, H.; Hanano, M.; Sugiyama, Y; Iga, T. J. Pharm. Sci. 1985, 8, 757-766. 66 . Luttringer, O. ; Theil, F P ; Poulin, P ; Schmitt-Hoffmann, A. H . ; Guentert, T W ; Lavé, T J. Pharm. Sci. 2003, 92, 1990-2007. 67. Bogaards, J. J.; Hissink, E. M.; Briggs, M.; Weaver, R.; Jochemsen, R.; Jackson, R; Bertrand, M.; van Bladeren, R J. Eur. J. Pharm. Sci. 2000,12, 117-124. 68. Jones, H. R.; Rarrott, N.; Jorga, K.; Lavé, T. Clin. Pharmacokinet. 2006, in press. 69. Rarrott, N.; Jones, H.; Raquereau, N.; Lavé, T Basic Clin. Pharmacol. Toxicol. 2005, 96, 193-199. 70. Meno-Tetang, G. M. L.; Lowe, R. J. Basic Clin. Pharmacol. Toxicol. 2005, 96, 182-192. 71. Germani, M.; Crivori, R; Rocchetti, M.; Burton, R. S.; Wilson, A. G. E.; Smith, M. E.; Roggesi, I. Basic Clin. Pharmacol. Toxicol. 2005, 96, 254-256. 72. Simulations Rlus. www.simulationsplus.com/ (accessed May 2006). 73. RK-Sim. Bayer Technology Services. www.pksim.com/ (accessed May 2006). 74. Cloe RK. Cyprotex. 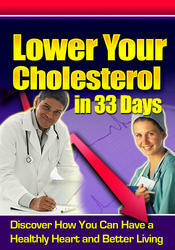 www.cyprotex.com/ (accessed May 2006). 75. pkEXRRESSTM Lion Bioscience. www.lionbioscience.com/ (accessed May 2006). Thierry Lavé received his RharmD and RhD in pharmaceutical sciences from the University of Strasbourg in 1992 and 1993. He also received a statistical degree from the University of Raris in 1992 and did an internship in hospital pharmacy from 1988 to 1992 in Strasbourg. Thierry Lavé joined Roche's Department of Rreclinical Rharmacokinetics and Drug Metabolism in 1992 and worked in this department as a postdoctoral fellow for 2 years. Thierry Lavé is currently a Scientific Expert at Hoffmann-La Roche and took responsbility for the global modeling and simulation group in preclinical research in 2002. His main area of research is in preclinical modeling of safety, pharmacokinetics, and formulation, physiologically-based pharmacokinetics, interspecies scaling, drug-drug interaction, and all aspects related to early predictions of pharmacokinetics/pharmacodynamics in humans during drug discovery and early drug development. He has published a number of papers in these areas. Thierry Lavée also teaches pharmacokinetics at the Universities of Rharmacy in Basel, Strasbourg, Helsinki, and Besancon. Neil Parrott graduated in physics from the University of Bristol, UK, then specialized in information technology and medical imaging at the University of Aberdeen, UK. In 1988, he started work with Sandoz Pharma as a developer of chemistry and biology databases and search algorithms. Later with Sandoz he joined the combinatorial chemistry group developing software and automation for high-throughput solid-phase synthesis. In 1998' he joined the Informatics group in Roche Pharma Research where he developed data analysis tools for pharmacokinetic data and led a project to integrate DMPK data into the Roche Research global data warehouse. While working in the DMPK area he became interested in physiologically-based pharmacokinetics and transferred to the Research Modeling and Simulation group where he is now involved in preclinical project support with pharmacokinetic and absorption modeling. Hannah Jones is a Research Scientist within the DMPK department at F Hoffmann-La Roche, where she is responsible for the simulation of human pharmacokinetics for discovery and early development compounds before entry into human. She received a BSc (Hons) in pharmacology and a PhD in drug metabolism from the School of Biological Sciences and the School of Pharmacy at the University of Manchester, UK, respectively. Hannah is interested in the prediction of human pharmacokinetics, including metabolism, distribution, absorption, drug-drug interactions, and the incorporation of variability and uncertainty. She has several research publications in this area.